A short album of electro-pop built entirely out of field recordings made in Sri Lanka. 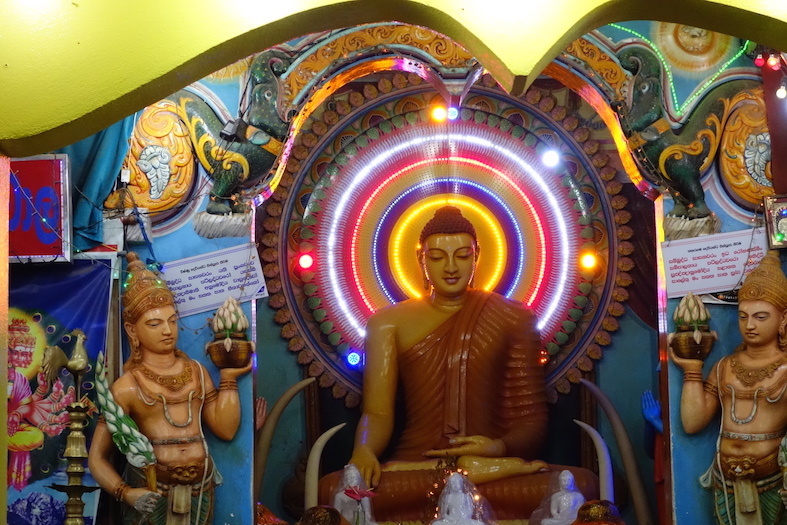 Sri Lanka is full of life and full of noise: from the traffic in Colombo to the birds on Horton Plains to the market traders in Hikkaduwa and the bells at Katharagama. We thought it would be fun to see what we could find inside all that noise. We found ourselves making snare drums out of parakeet chirps, percussion out of bus horns, chords from bread vans, and basslines from children shouting in the distance. The sounds we’ve used to make this album come from: Ambalangoda, Colombo, Dodanduwa, Ginigathhena, Hikkaduwa, Horton Plains, Kandy, Katharagama, Kelaniya Perehara, Nuwara Eliya and Udu Walawe national park. LNK_A is our first attempt at making a pop album out of field recordings. It’s kinda retro. Play it loud and enjoy.